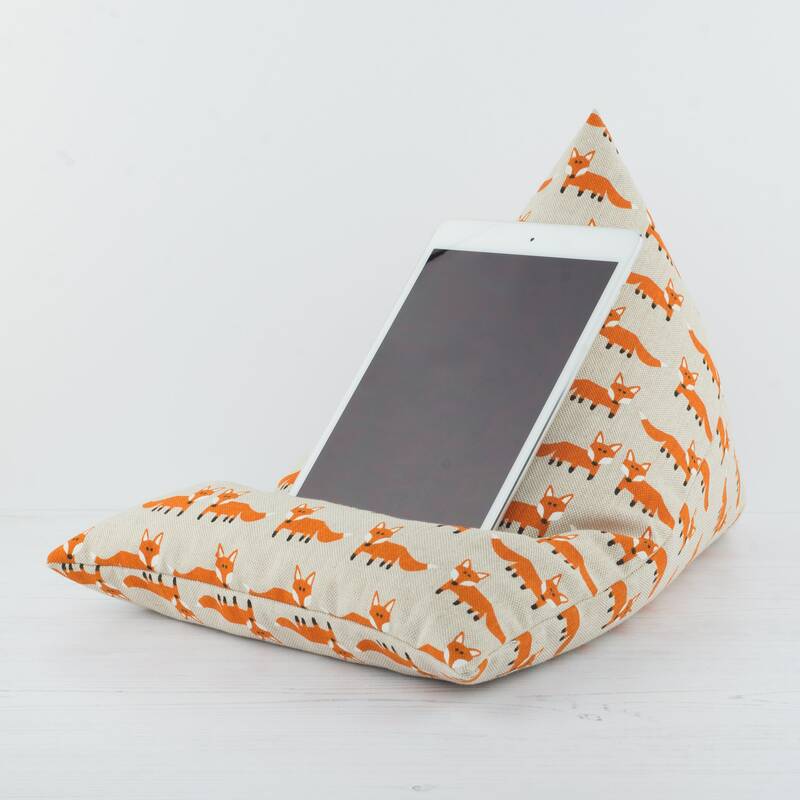 The tablet pillow allows you to position your iPad or Kindle vertically or horizontally on most flat surfaces. 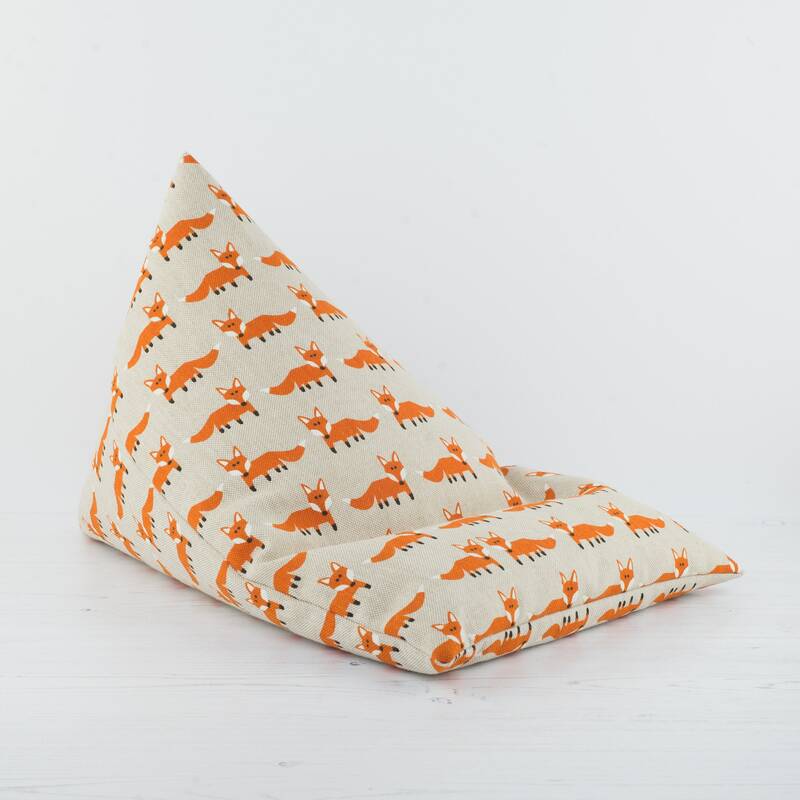 The pillow is ideal for reading in bed, emailing on the couch or internet shopping. The polystyrene beads mould and securely support your device allowing you to find your most natural and comfortable position. 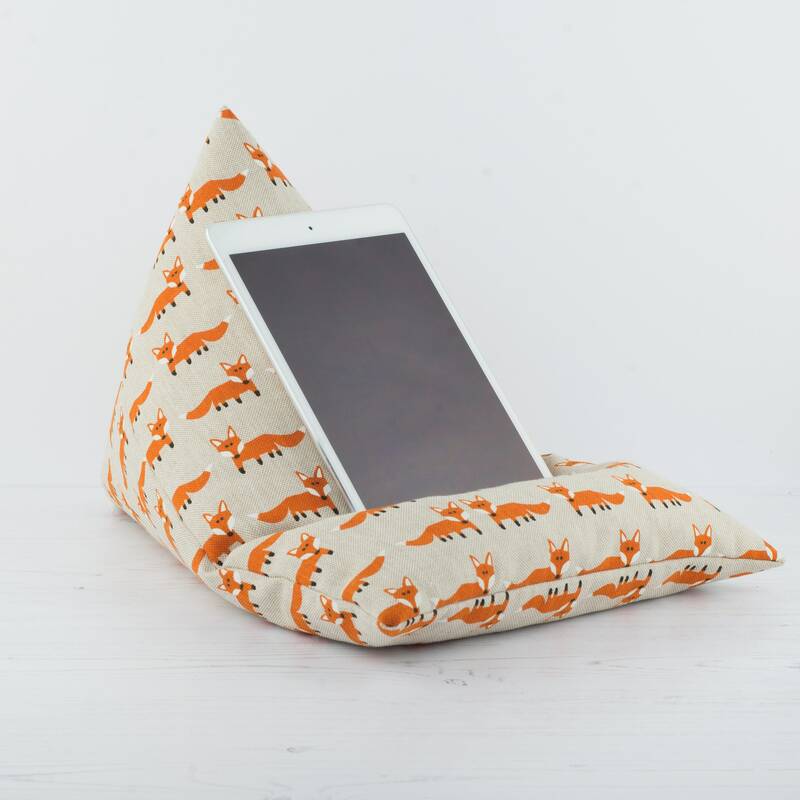 The tablet pillow is more than just a tablet stand it can also double up as a comfy travel pillow, book stand or phone stand. The only limit is your imagination. They are extremely lightweight yet super sturdy. It's a fantastic unique birthday or Christmas gift for your mum, dad, best friend or sister. The colourful cheerful design is sure to brighten your every day. 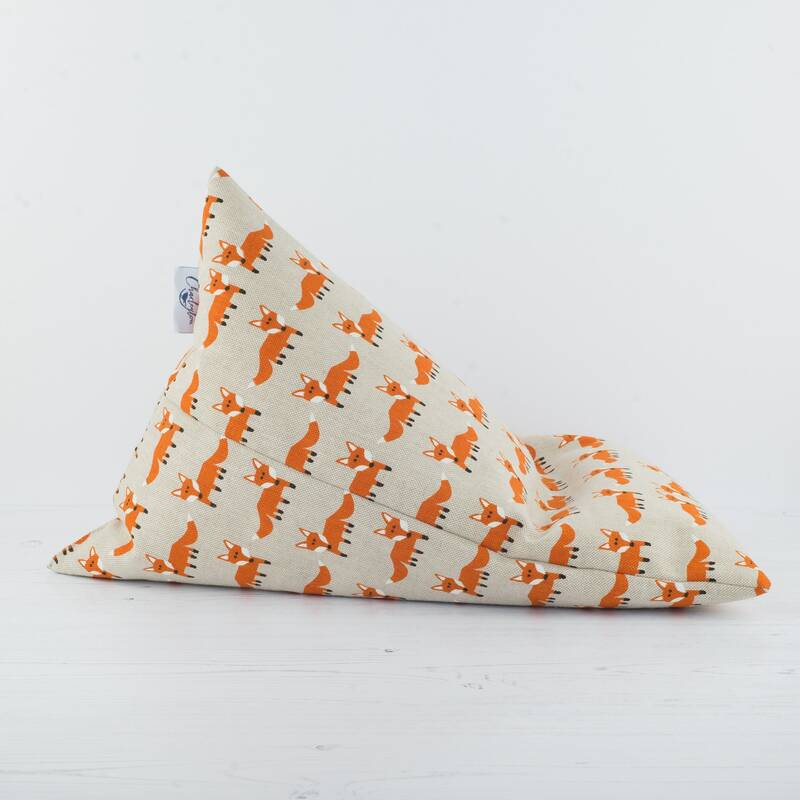 The tablet pillows are made in a high quality linen look fabric featuring a fox design. Each pillow is filled with grade A fire retardant polystyrene beads. The device pictured is not included in the purchase of a tablet pillow. Bought as part of a christmas gift and the recipient is going to love it!